Share your bike with us. Tell us what your favourite part is? Aero Bars? Hell-No! I hold my wires= light and comfy. 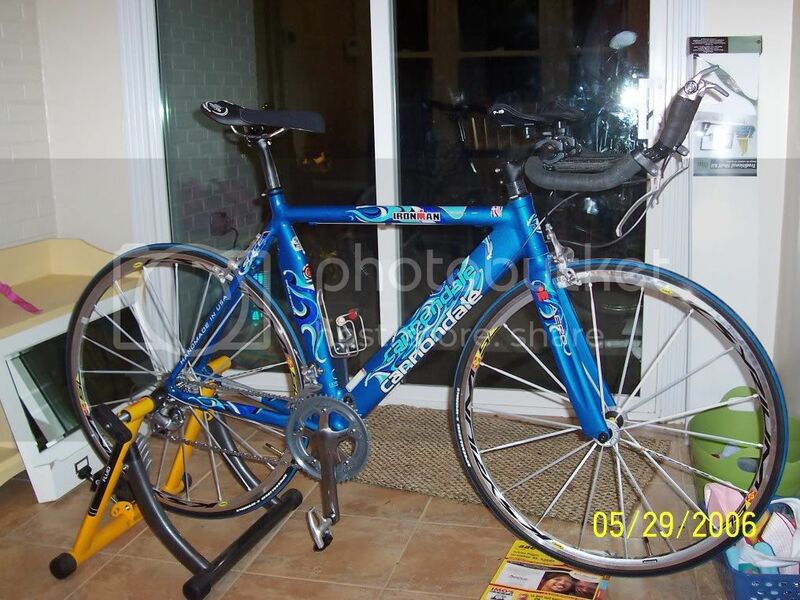 At the end of the season I'll probably get some Hed aerobars and Vision brake levers. After that it is crankset, I'm inbetween Stronglight Vulcans and KCNC's crank. Oh and my favorite part is the SLK saddle, because 80 mile rides don't hurt my ever so sensitive areas and it is under 200 grams. Insr5runnr probably has the most attention to detail, with the Xentis wheels nicely matching the frame, plus the TT chainring. I'll have to get a new picture up to compete with the last two machines though, that Guru is good looking but could use some Hed Alps with the silver decals. Cant ride it at present due to tearing a calf muscle but when I do she is a joy to ride. 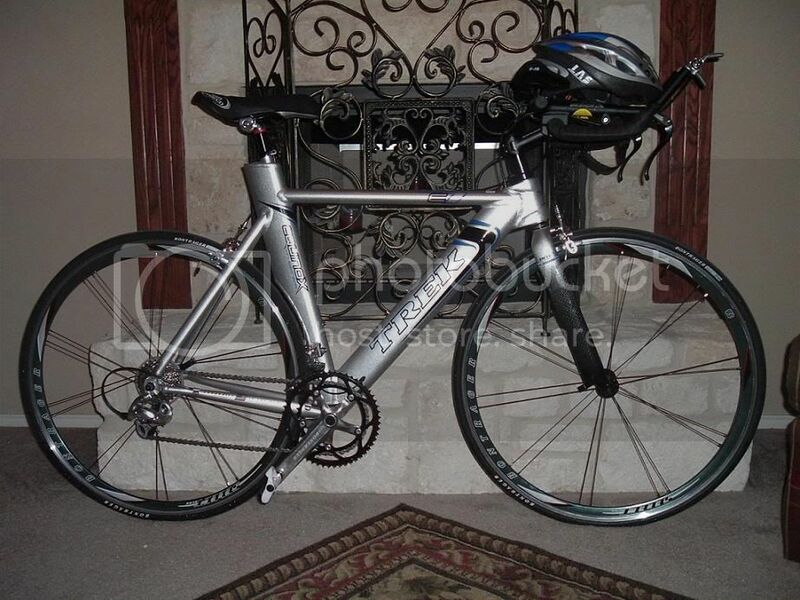 I race it with a Hed trispoke and HED disc. I need to take a pic with the aero wheels on. Road Toad, have you thought about flipping the stem, and or moving some spacers above the stem. Getting those pads at least even with, or below the seat will make you a lot more aero. Thanks! I love the Xentis wheels, much like a 404, but a crosswind doesn't hurt as bad. The color match was just by luck! Sambo, that P3 is sick! That is the same setup that my bro-in-law rides minus the oval bars, and durace cranks (he rides vision bars, and FSA carbon cranks). I'm jealous everytime I see it! Insr5runner, is that a P2 SL? I am talking to a bike shop in Alabama, from which I might purchase one from. What year is it? What problems have you had with it? Thanks. Yup sure is. It's an '05. 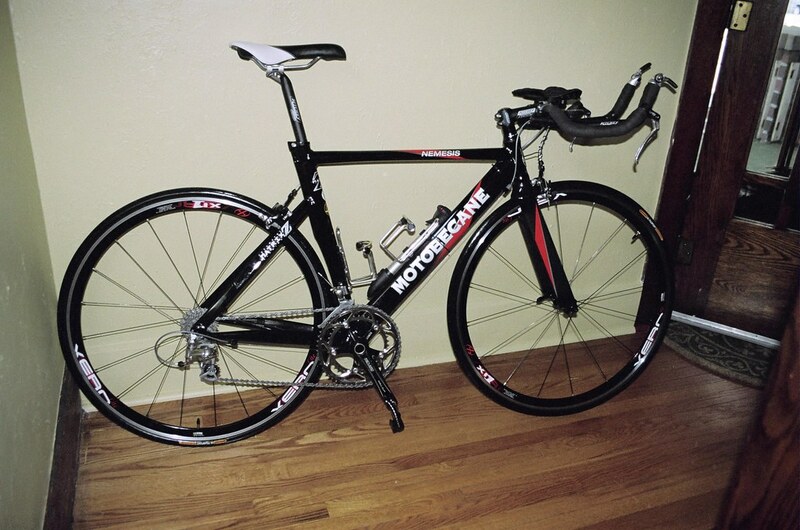 The only big difference (from 05- 06) is the aero bars are glossy black vs the 06' matte black that matches the frame. The only problem I had was a minor issue with the cranks. It wasn't a Cervelo issue though as they told me to talk to FSA about it. Only thing I wish it came with is the TT chainrings. Oh well can't have everything! edit: oh and the stock Vittoria tires wear fairly quick if you are riding a lot. I like my conti's for training much better than Vittorias anyways. 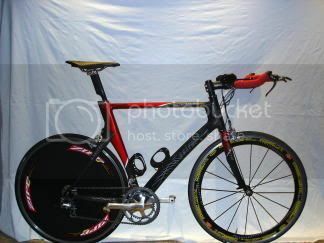 I Want The Cervelo's !!!!!!!!!!!!!!!!!!! The only problem I had was a minor issue with the cranks. It wasn't a Cervelo issue though as they told me to talk to FSA about it. Only thing I wish it came with is the TT chainrings. Oh well can't have everything! What minor issue with the cranks? What is a TT chainring? Ordered mine today, should be here next week. Is a question from a curious newbie permitted? Why do the tri bikes have such FAT tubes? If you were to look at the bikes head on the tubes would look flat. They are elongated (think oval) for better aerodynamics. I see. But how come this is only specific to Tri bikes? Or is it? Do other bikes made for racing have the same feature?